Colombian league is on the game tho, isn't it? Yes, but just playing in Colombia. 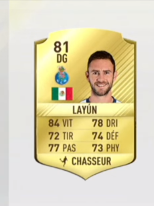 Will not be a Porto card. How didn't Raphael get an upgrade? Guerreiro with the same rating as Zeeglar? Goes to show how much the people doing the ratings know their stuff... and the cherry on top Quintero... that guy isnt even a football player, he's more valuable to regaton than to football. Does anyone know what's André Silva card like? Gold? Silver? Any standout stats on André Silva? Would make sense for the database to come out today right ? yes, perfect! 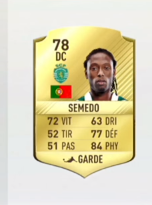 hope he somehow has 4* skills or some good traits. Out of position RQ7 @nineteeeen? or is he a LW now?